Jean-Claude Biver is credited with reviving TAG Heuer during a period when the brand was losing its lustre. 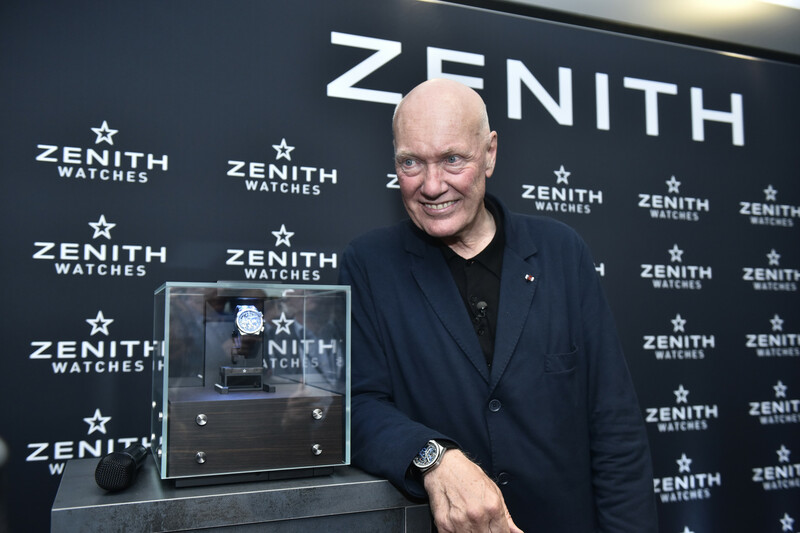 LVMH stablemate Zenith, which Mr Biver took on as Interim CEO in December, is an even greater challenge, but the tireless 68-year-old says he will spend the next seven years leading the historic brand into a brighter future, as he described in conversation with WatchPro’s Rob Corder. WatchPro: We are sat atop the Zenith stand at Baselworld, just a few months after you took over as interim CEO of the business. What are your early thoughts for what is needed at the brand, and what are your plans to breathe life back into the company? Jean-Claude Biver: We cannot talk about bringing Zenith back to life because it never died. We will connect the tradition of Zenith to the future. I know it sounds a bit intellectual, and most people will not understand what it means, but that does not matter, it is what we are going to do. Tradition is great, but tradition with no evolution is a tradition that will end up in a museum and we cannot be a museum brand. We have to be alive. We cannot just sleep and become a prisoner of tradition. We will free the brand from the past, and we will connect this tradition to the future. That does not mean we are changing anything, we are not changing the DNA. We are just making the necessary adaptations. It is like, if we look at a Range Rover from 1969, and then we look at a Range Rover in 2017, it is the same car, but somehow it is not the same. People can see it is the same origin, they can see it is the same DNA, but the car from 1969 would be a classic car today. Only a very few purists and collectors would drive it. Most people want to drive the 2017 car. It is the same with our business. If we go on making 1969 watches, that is great for the purists, it is great for collectors. But for normal people, it will sound like an old dusty watch. WatchPro: You have said that you plan to bring together many of the greatest minds of LVMH to strategise and plan the future for Zenith. How does that process work? JCB: LVMH has a few brands. In each brand we have a few guys who are brilliant people. It is like if you own three football teams and one is playing in the Champions’ League and is one of the top five in the Premier League; another team is also in the Premier League, but not in the top five; and finally you have a team that is two leagues below that you want to help. The best way to help the team that is two leagues below to get into the Premier League is to take two or three players from the brilliant teams and play them in the lower league team. If you get a goalkeeper, midfielder and centre-forward from the best team playing in the lower team, it will help the lower team get back into the top league. This is what we will do. I said: I need the best people. I recruited them and I say to them that we need to help our brother to grow. They have put their competences, their ideas, their knowledge, their vision into Zenith. This means that Zenith has received the sort of help and support that in normal days they could never have paid for. It is like a third division football team would never have been able to recruit the best goalkeeper because he would tell them that he does not want to play there. This is what we have given to Zenith. 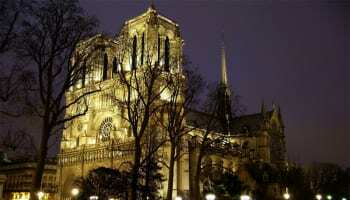 It has received support that it would never have been able to get, or even pay for. This is a huge privilege. It is what the group, when you belong to a family, can bring you. Zenith has created multiple colours of its Pilot Type 20 this year that will look great on display. WatchPro: I guess a lot of the focus when these brilliant people come together is on the product development side, but I am interested to know what can be achieved when you bring together the best business minds in the watch industry. Is this team looking at business issues like sales, marketing, channel development, point of sale? Is that part of the weekly meeting of your greatest minds? JCB: Of course. Every department will get help, from the production, product development, marketing and distribution. There is not one segment of the organisation that is not taking advantage of the synergies. The marketing people now are driven by the marketing director of the watch division. It is the same for the sales. The people in different countries will be driven by the team heading the best and strongest brand in each country. If the best brand in a country is TAG Heuer, then it will be TAG Heuer that will take the lead in distribution. This would be the case in the UK, for example. In other countries, it might be Hublot that takes the lead. 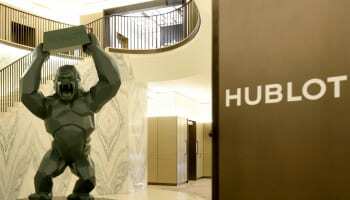 WatchPro: Is there any sense that, if I am a successful TAG Heuer retailer in the UK, that I could move up through the ranks of LVMH brands and start selling the finest, most complicated watches from Hublot, Bulgari and Zenith? 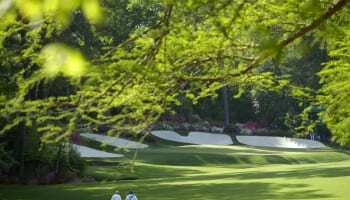 Is that a journey that you would like to take your retail partners on? JCB: It all depends. If you are a retailer and you do well with TAG Heuer, it does not mean that you will necessarily get Hublot or another brand because the decision of Hublot is their decision. We do not play synergies of brands, we play synergies of people. So Hublot, TAG or Zenith will never be forced to go in a direction because some other brand has told them to help. The brands are not helping each other, the people are helping. It is not a synergy of brands, it is a synergy of people, which is dramatically different. So, the guy from Hublot, if he is the best and he supervises Zenith, he will give advice, he will give recommendations on strategy. But, at the end, it does not mean that because you have Hublot, you will get Zenith. The Zenith person will make that decision; it has independence, it has autonomy. WatchPro: Can I get your insight on how you see sales channels evolving in the future, particularly the move towards selling more online, either directly or via your retail partners? JCB: Online retail is the future, and you will not be able to stop it. It is impossible to stop it. Online business is part of the future. Brands have to adapt to that fact, and retailers have to adapt to that fact. The adaptation is underway, and I leave it to each one to find the best way to find the cooperation between online and physical. They have to find a way so that they do not compete, but are complementary. If they want to compete, then one of the two will have a problem long-term, and online will win. Watchpro: The great fear of retail partners is that LVMH brands start to sell directly to their customers. This would see you competing with the very channel partners that have supported your brands. How do you see this evolving? JCB: Most retailers are already doing online. WatchPro: Of course, but if they find themselves competing with TAGheuer.com and Hublot.com, then that is tougher, particularly if you have the very best and most desirable limited edition pieces in your own online boutiques. JCB: That is why every brand has to find the right equilibrium and the right way to handle both. But both will exist. At the end, it is all for the profit of the end user because the winner will be the service. Who can serve the customer better, a brand or a retailer? I hope it is the retailer, because that is their business, to serve. Brands are in the business of production and development. They have the business of doing brand strategies for the long term. The service, the details, the recommendations, the stock; that part of the business is for the retailer. They must be the best at this. The only retailers I worry about are the ones that are not the best at this. They might feel the pressure. But I do not see a problem with the best retailers. WatchPro: It sounds like what you are saying is that the world will move as the world will move, and you will respond to how customers behave rather than imposing a model? JCB: You cannot push a model against habits or against the customer. There is a new generation of watch customers, and there is a type of shop in the world where that new generation will never enter because he will not feel at ease. He will feel it is too stiff, he has no freedom, he is afraid, he gets pressure, he has to sit down and wait to be served. At a certain moment, you cannot stop this new generation. They are different. There are stores around the world today where people treat you like you have no money if you are dressed a certain way. The customer is the king, and the king will always win. So all we can do is look how we can best serve the king. The person who best serves the king will get the business of the king. WatchPro: I think your comments that you expect the best retailers to continue winning in the watch business will be welcome at a time of change like this. JCB: Of course, this is their business, this is why they are there. They know how to handle customers. We are not shopkeepers. Brands have very little experience in how to serve a customer. Service will be the key. Service will win, which is very positive for the end user. Very often in the past, service was not the top thing that was thought about. WatchPro: There was a lot of talk last year about the UK benefiting from the fall in the value of the pound after Brexit, and how this created a price advantage for British retailers that led to a massive sales spike. I am not convinced this is the whole story. I think that luxury retailers in the UK are some of the best in the world, and really understand the luxury environment and Swiss watches. JCB: You are correct. For example in Glasgow you have Rox. They are great guys. Zenith has opted for a Vacheron Constantin stalwart as the man to spearhead its turnaround plan and lay the foundations for a fresh chapter of growth. Julien Tornare will take over as CEO of Zenith from May 1, reporting directly to Jean-Claude Biver, president of the Watches Division at LMVH. Mr Tornare joins the company with a rich pedigree in the watch industry, having worked for Vacheron Constantin for the past 17 years. He initially headed the company’s Swiss business, before taking charge of its North American operations. More recently he served as the brand’s managing director in the Asia-Pacific region. Mr Biver said the new CEO’s priorities will be to focus on the “renewal” of the brand. “Julien’s strong international and commercial experience in watches will be crucial to the development of Zenith, which is enjoying renewed success since Baselworld and the launch of Defy El Primero 21,” he said. Mr Tornare replaces Aldo Magada, who was relieved of his position as CEO and president of Zenith at the start of this year. 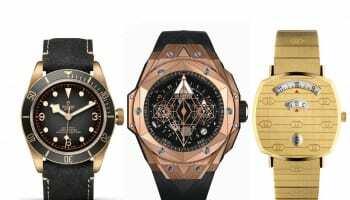 Mr Biver has been keeping the seat warm while LMVH has cracked on with the job of finding a replacement and stated his intention to create greater synergies between the group’s three brands, including TAG and Hublot. Back in February, he told Chronos and Watchtime.net of the losses that Zenith had incurred over the past two years and said the company would leave no stone unturned in establishing the actions that needed to be taken to reignite its growth.